Love sipping seltzer with your meals? Your favorite beverage can do more than just satisfy your thirst. 1. Breathe new life into a dying houseplant with flat club soda. Before using it, make sure the soda is room temperature, then use it as you would water to reinvigorate your plants. The minerals in the soda enrich the soil. 2. Have a rusty screw that you can’t get to turn? Pour some club soda on it, then wait five minutes before trying to twist it again. The carbon dioxide releases the rust and buildup, making it easier to turn. 3. Get rid of stuck-on food. After dinner, when your dishes and pans have hard-to-remove food on them, a little bit of club soda will help you get your dishes clean. If you have other home cleaning products that you’d like to sell, check out tools like Secure Net Shop. In order to sell online, you’ll need to weigh the pros and cons of different shopping cart systems. 4. Make your pancakes fluffier than ever by using club soda in place of milk or water. The bubbles aerate the batter, which makes your waffles or pancakes lighter and fluffier. Plus, you’ll save some calories by cutting out the milk. 5. If you drink tea or coffee daily, your mugs are probably a bit stained. If you can’t seem to scrub the stain away, fill the mug with club soda and let it soak overnight. The carbonic acid in the soda will get rid of the stains. 6. During spring cleaning, make your bathroom fixtures look like new again by polishing chrome with club soda. Pour some of the beverage onto a soft, clean cloth, then wipe the metal. You’ll get rid of the grime without even leaving so much as a water spot behind. 7. If Jello is your go-to dessert, kick it up a notch by using club soda instead of water. Not only will the bubbles make the gelatin look sparkly, but it’ll also give it a bit of fizz. 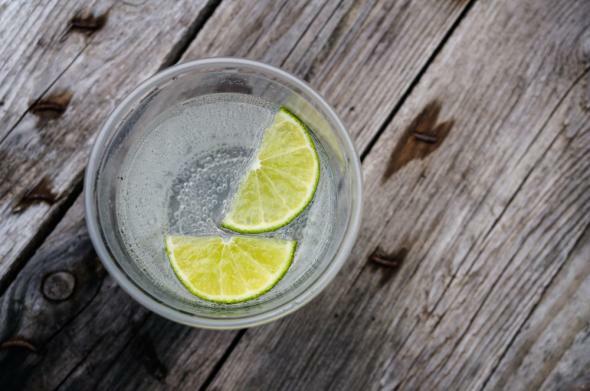 Opt for flavored seltzer for even more flair. 8. Don’t bother investing in expensive jewelry cleaners. Club soda can be used to clean most metals. Just let the jewelry soak overnight, then dry it off in the morning.